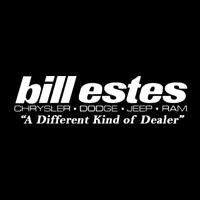 For a different kind of dealer, come to Bill Estes Chrysler Dodge Jeep Ram! We are dedicated to earning your business with caring customer service and quality inventory, especially with our used vehicles. You’ll find us conveniently located at 745 E 56th St, Brownsburg, IN, 46112, so stop by and see us soon! Whether you are interested in a classic Jeep SUV, a rugged Ram pickup truck, a sophisticated Chrysler sedan, or a family-friendly Dodge, you don’t have to break your bank account. With our selection of used cars, you’ll be able to get the model you desire at a price you can afford! We pride ourselves in selecting top-notch used vehicles to display on our lot, so you be sure you’ll get one with plenty of life left. Plus, our trustworthy staff are here to help you every step of the way! If you would like to get an idea of all that we have to offer without leaving the comfort of your own home, simply head over to our online inventory. You’ll be able to look through photos, check the specs lists, and even compare different options side-by-side. If you think a particular vehicle might the one for you, share its description page with your friends and family and, then, schedule a test drive. We have business hours Monday through Saturday, so it’s easy to find time to stop by and get behind the wheel of one of our used vehicles. We know that there can be some apprehension when purchasing a pre-owned car, but we want to change all of that. In addition to the regular inspection, our certified vehicles are held to the highest standards before they can be labeled as part of this elite group. RECALL NOTICE: Some vehicles offered for sale may be subject to unrepaired manufacturer safety recalls. To determine the recall status of a vehicle, visit www.safercar.gov or click here. They also have value-added benefits, such as a 1-year membership to Road America’s Auto Assist Program*. Check out the car’s maintenance records, and more, with the free CARFAX® Vehicle History Report™. To learn more about our used cars for sale in Brownsburg, IN, give Bill Estes Chrysler Dodge Jeep Ram a call at 317-456-1600! Let us prove our commitment towards respect and building long-standing relationships with our customers by visiting us today. *See dealer for exact details and limitations.